One more day, we come with another great event going on in Bournemouth! The summer in Bournemouth is plenty of entertainment activities that anyone can join for free, and Onstage At Pier is one of these! Are you going to miss it? 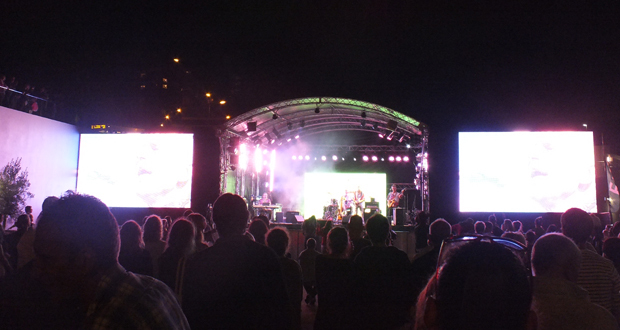 Onstage at Pier Approach offers an exciting program of free events throughout the summer in Bournemouth. The stage is situated on the site of the former Waterfront/IMAX building at Pier Approach and will have a variety of dance, music and movies. We hope that you have a great summer in Bournemouth and take advantage of the free event to meet new people and practice your English whilst having fun! World Choice Education will be organizing some other activities for anyone that want join us, we will keep you updated through our Facebook page! By worldchoiceeducation in Uncategorized on July 31, 2014 .